MJ's Pizza Bar & Grill, Matawan : You Can't Miss MJ's Cinco de Mayo Fiesta! 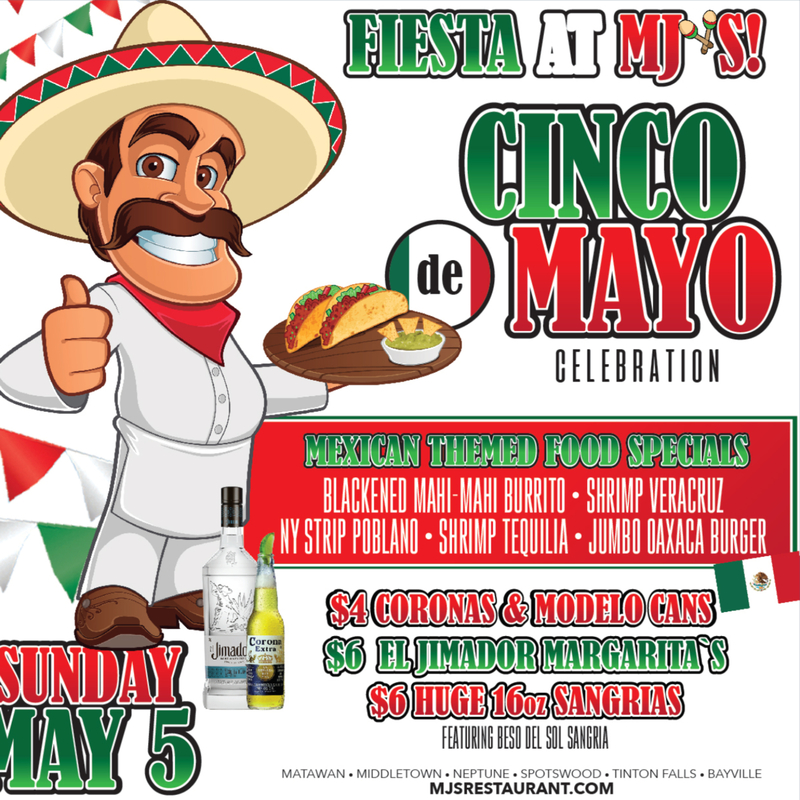 MJ's Pizza Bar & Grill - You Can't Miss MJ's Cinco de Mayo Fiesta! Grab your sombero and get to MJ's this Cinco de Mayo! Join the fiesta on May 5th for Mexican themed food and drink specials all day!